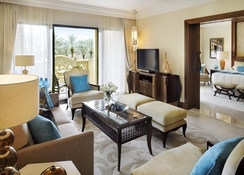 (The Palace) Facing the bay of Palm Island, this luxury resort boasts one km of private beaches and impressive gardens. 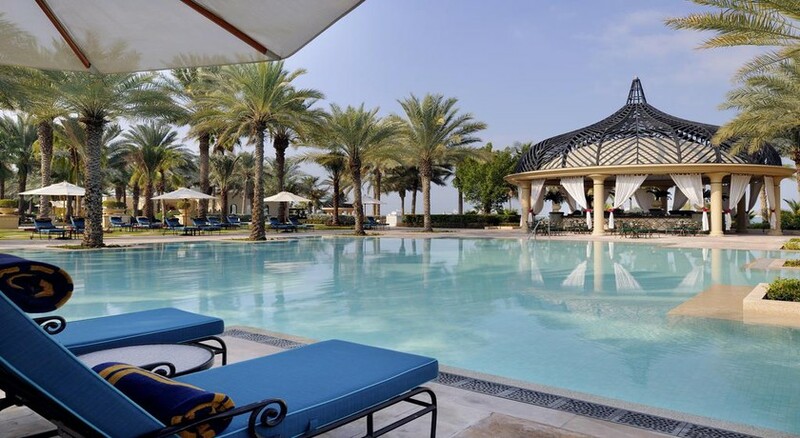 The One&Only Royal Mirage is a 10-minutes drive from the Emirates Golf Club. 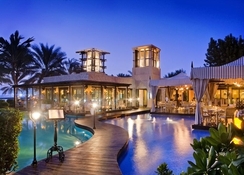 This Arabian-styled resort is made up of 3 environments: The Palace, Arabian Court and The Residence & Spa, each with unique rooms and distinctive restaurants. 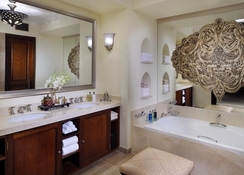 The rooms at the One&Only Royal Mirage merge classic decor with modern amenities, including flat screen TVs. 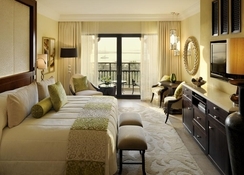 Each room features a luxury bathroom and a private patio or balcony that faces the gardens and sea. One&Only's 13 restaurants serve gourmet dishes from all over the world, including Mediterranean, Moroccan, Indo-European cuisine. 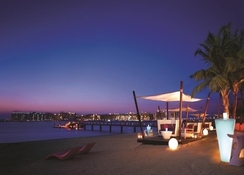 Guests can enjoy fresh seafood and international cuisine by the beachfront with clear views of the water. The resort offers leisure facilities including 3 large temperature-controlled swimming pools, 3 lit tennis courts, and a water sports centre. For children there is the 'Kids only' club with daily programmes.